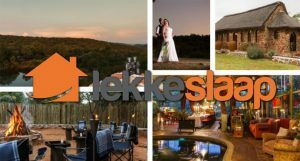 South Africa’s favourite local online booking platform, Lekkeslaap.Co.Za, published a blog on their website of their 15 favourite chapels in South Africa that looks like they’re straight from a fairy tale. South of Africa’s hotels, Shangri-La and Birdsong Cottages, count among the 15 nationwide chapels who has been bestowed with this honour. View the article here and read more about Birdsong or Shangri-La’s wedding facilities by click here for Birdsong Cottages or here for Shangri-La Country Hotel & Spa.